I’m delighted to ask everyone to “save the date” of June 29, 2019, for the priestly ordination of Deacon Brad Berhorst at the Cathedral of St. Joseph, Jefferson City, at 10 a.m. More information will be forthcoming. Mrs. Kimmie Bax has been appointed Priest Wellness Coordinator, beginning July 1, 2019. Her primary role will be to assist the Bishop and Vicar for Clergy to tend to the needs of our priests who are ailing, as well as to offer support and guidance for priests who are coping with disease, chronic illness, personal crises, or who want to work on dieting and exercise. She will be available on a part-time basis to visit priests in hospitals, homes and long-term facilities to assess their needs, or to accompany them to doctor’s visits as needed. Over a Century of Ministry by CPPS in our Diocese. Father Mark Miller, CPPS, pastor of the parishes in Pettis County, has announced he will be retiring this summer and the Society of the Precious Blood will not be sending anyone in his place. We are grateful to the CPPS for many years of priestly ministry in the territory of our diocese, a service which began long before our diocese was erected. CSA rebates. Soon, Msgr. Kurwicki will issue letters to the parishes on their CSA gifts and pledges received, and inform the 60+ parishes that met or exceeded their goals for 2019. Congratulations to all of them! More than $400,000 will be returned to the parishes (10% of the parish goal; 90% over the goal) because of the extraordinary success of this year’s campaign. Please note that checks will be issued after July 1 and the actual amount rebated will be contingent upon the pledges being fulfilled. My thanks to Mark Saucier, Kathy Stegeman, Msgr. Kurwicki and the deans for helping make this year’s campaign an outstanding success. We are better together! Breaking the Silence of Abuse – resources for bulletins and web. Also, please publicize upcoming Protecting God’s Children (Virtus) workshops. On April 3, Father Kevin Gormley’s sister, Maggie May Murtagh, age 94, passed away in Ireland. She is survived by six members of the Gormley family, including Father Gormley, who is a retired priest of the Diocese of Jefferson City. Father Gormley officiated at the funeral Mass in Ireland. The movie, “Unplanned,” has been held over until April 10 in Jefferson City and Columbia, and is opening in Fulton. A story of transformation, redemption and of God’s healing grace, it has been tranformative for many. See this issue of the Catholic Missourian for more details, or contact Kathy Forck at 573-821-5130. Job openings at Chancery and Catholic Charities – please post for us! Registration for summer youth camps open now! 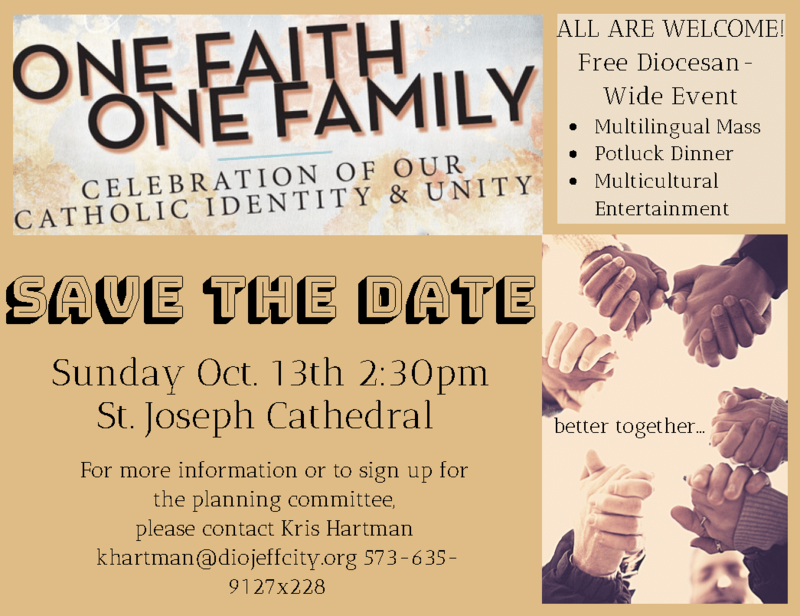 Please consider promoting these events in your bulletins, other print publications, on your website and in other digital sites. Please use the description in our online event page (links providing for each event) for your print products. Ever consider being a FertilityCare Practitioner? Apply now for a class beginning April 27 with FertilityCare Center of Kansas City. Complete info and application materials can be found on the website at www.fertilitycarekc.com. Phyllis A White,CFCE Program Director with Dr. Joseph B. Stanford, MD, CFCMC as Medical Consultant. Call Phyllis at 816-550-8789. 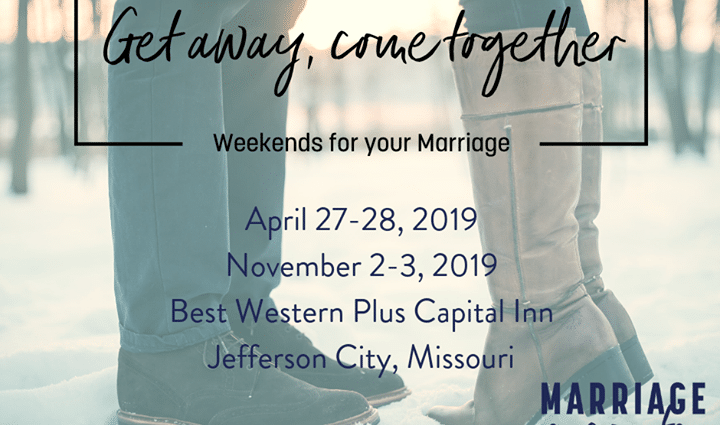 April 27-28: Marriage Encounter. Please use the graphic below to promote. April 27-28: Retiro de Jóvenes: A great retreat opportunity for the preparation of this year’s quinceañeras and chambelanes for any 14- to 18 year-olds, a Retiro de Jóvenes will be held April 27-28 at Sacred Heart School in Sedalia. 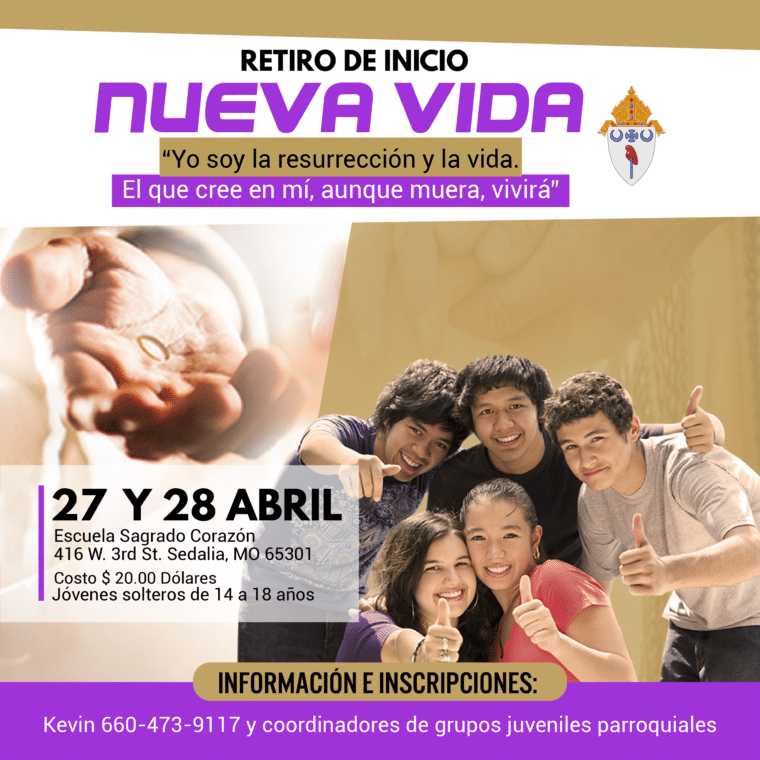 A chance to share, have fun, learn, reflect, pray and encounter Jesus. Please use the graphic here to promote on social media. Parental consent forms should be sent to the diocesan Faith Formation team. May 3-5 Rachel’s Vineyard retreat in Kansas City: Are you or a loved one suffering from abortion? Find hope and allow God to heal your heart by attending a Rachel’s Vineyard weekend retreat. 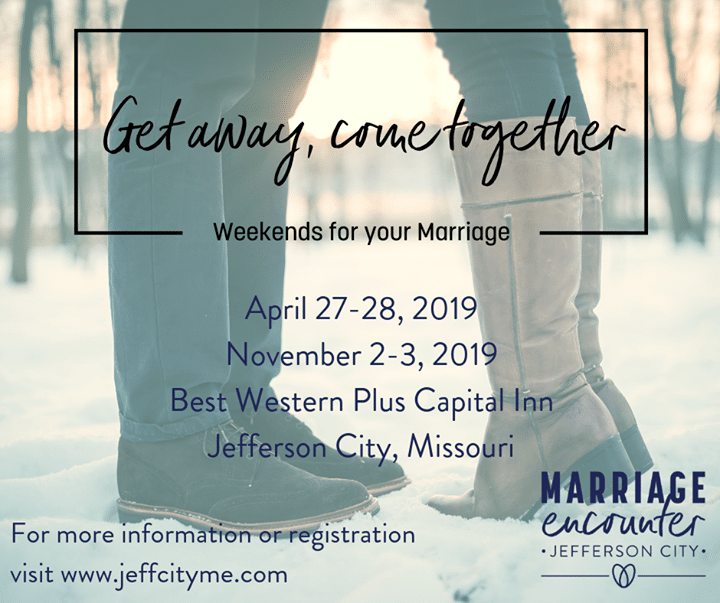 The first of three 2019 retreats to be held in the Kansas City area will be on May 3-5. For more information or to register, call Teresa O’Donnell at 816-679-4973 or email rvkcmo@gmail.com or visit www.rachelsvineyardkc.org. 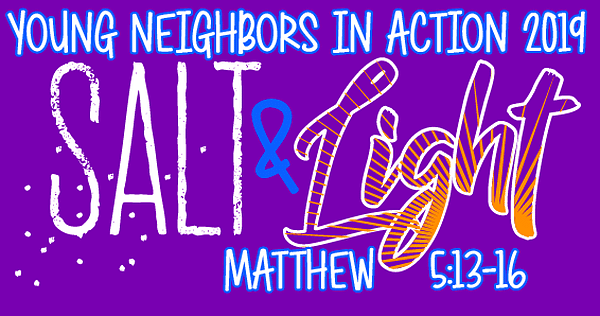 May 13 is the deadline to register for the 2019 National Catholic Youth Conference, to be held Nov. 21-23 in Indianapolis. 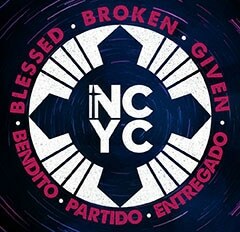 Visit www.oymdiojeffcity.com/ncyc for more details and promotional material.